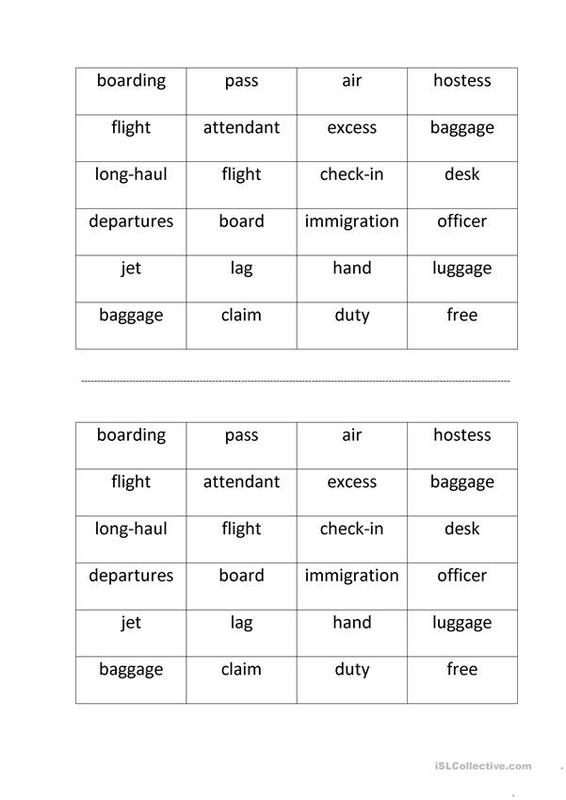 This is a worksheet for practising air travel vocabulary. It is a matching exercise. There are 24 cards. Cut them up and shuffle them. Give one set of cards to each pair of students. Their task is to match two cards in order to form air travel related two-word phrases and thus make 12 dominoes. The present downloadable handout is best suited for high school students at Intermediate (B1) level. It is excellent for honing your pupils' Reading skills. It is focused on the topic and words of Travel.